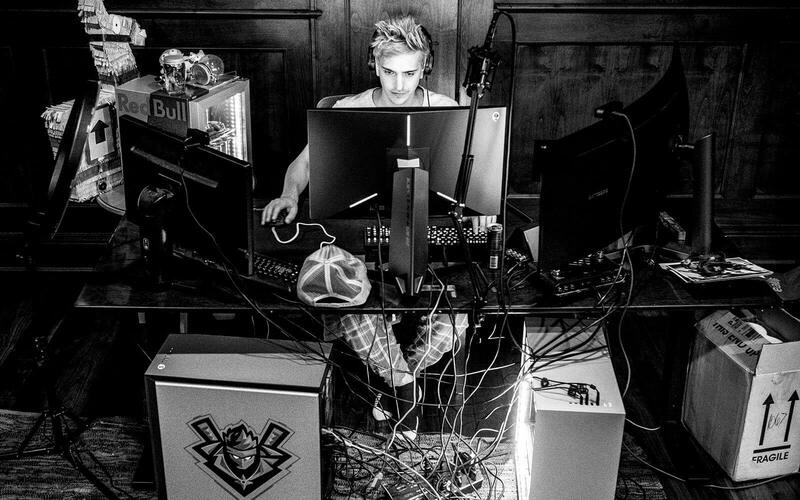 Who's that: Tyler Blevins, better known as Ninja, is the most followed streamer on Twitch. He currently has over 11 million followers and gets an average of 43,000 viewers per stream. Earlier this year Blevins confirmed that he makes nearly $500,000 per month, mostly from Twitch Prime subs, but also from YouTube, Instagram, and Twitter. Now Blevins has made the cover of ESPN Magazine. He is the first professional gamer ever to land on the face of the publication. The in-depth profile includes his thoughts on staying at the top of his game, what gigs outside of streaming he considers worthwhile, and touches on the controversy surrounding his unwillingness to stream with women. Ninja got his start playing Halo professionally. Now he mostly plays Fortnite. Blevins says that he strives to practice every day, even when he is streaming. He says that there is a difference between practicing and playing. “You can play every single day, [but] you're not practicing. You die, and oh well, you go onto the next game,” said the blue-haired phenom. He expressed that he sometimes feels that he has peaked and that thought stresses him out. He tries to maintain his viewer base by attending public events while still keeping fans engaged. Money and recognition are key factors when determining whether or not he is going to step away from the webcam. His comment would suggest that he is currently making more than the previously reported $500,000 per month, but he did not go into detail about his income. One thing that he wanted to clear up was the controversy revolving around a comment he had made about not wanting to work with women streamers. He took a lot of heat for the remark but says that he misspoke and what he said was taken out of context and spun negatively. What he meant was that he did not want to stream with women because he is committed to his wife. People took his comments as being sexist, but he says he is perfectly fine gaming with women in a group situation where he "controls the narrative," but he feels that one-on-one streaming with women leaves the door open for gossip and innuendo to affect his marriage negatively. The print version of ESPN Magazine featuring Tyler “Ninja” Blevins went on sale today, but you can also read the article at ESPN’s website.